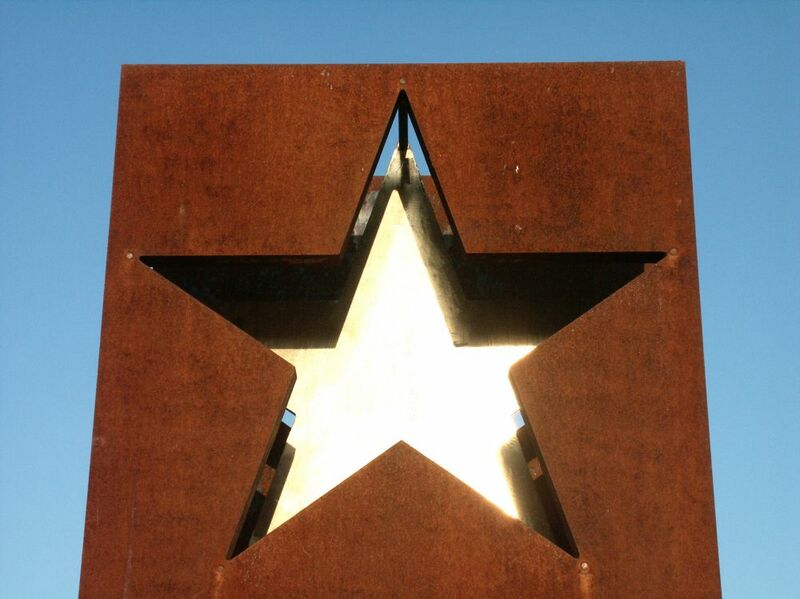 "Schengen, the world’s most famous village, symbolises the free movement of people and goods in 25 European countries. For millions of people, Schengen is synonymous with quality of life." On 14th June 1985, on the "MS Princesse Marie-Astrid" cruising boat, anchored at the Schengen quay, the protocol of the Schengen agreement was signed, relating to the suppression of customs controls, which entered into effect on 26th March 1995. Currently, the "Schengen Agreement" is ratified by 25 European countries forming the "Schengen area". 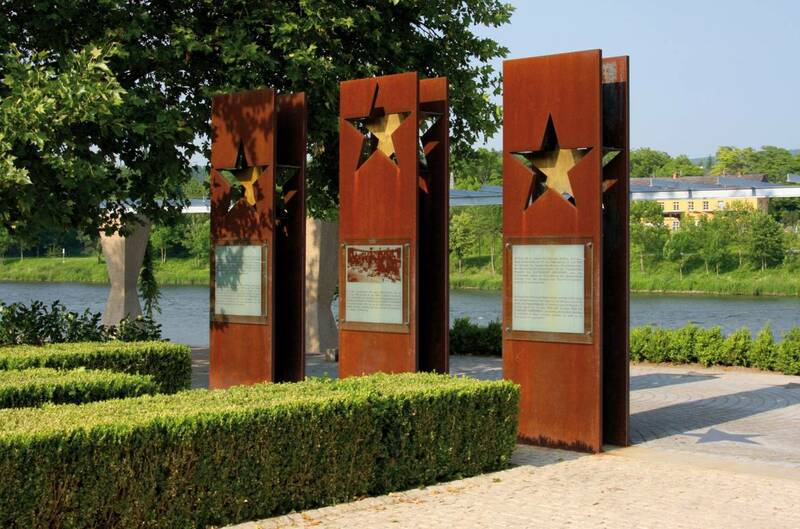 On the Moselle Esplanade, three steel steles commemorate the signing of the Schengen Agreements in 1985 and 1990. The winemaking village of Schengen was selected for the signing ceremony for these agreements owing to its geographic location on the border of France, Germany and the Benelux economic union (i.e. the first five signatories to the protocol). Goethe portrayed Schengen as the cradle of freedom, and it was here that Victor Hugo dreamt of his United States of Europe. The three 3.5 metre high steel steles symbolise the origins of Europe with the ECSC while the three brass stars symbolise France, Germany and the Benelux Economic Union which are adjacent to the country with 3 borders (5 initial members signed the protocol). 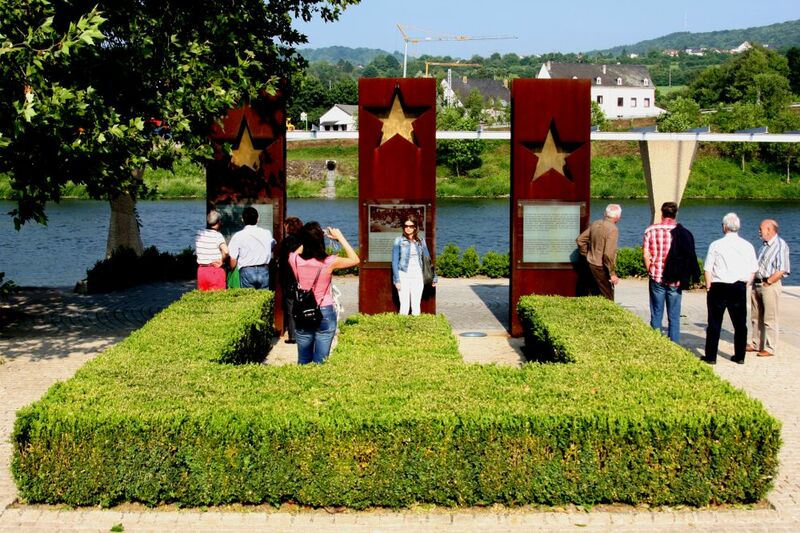 Stele established in September 2000 on the banks of the Moselle close to the castle and the "Schengen Agreement Centre". 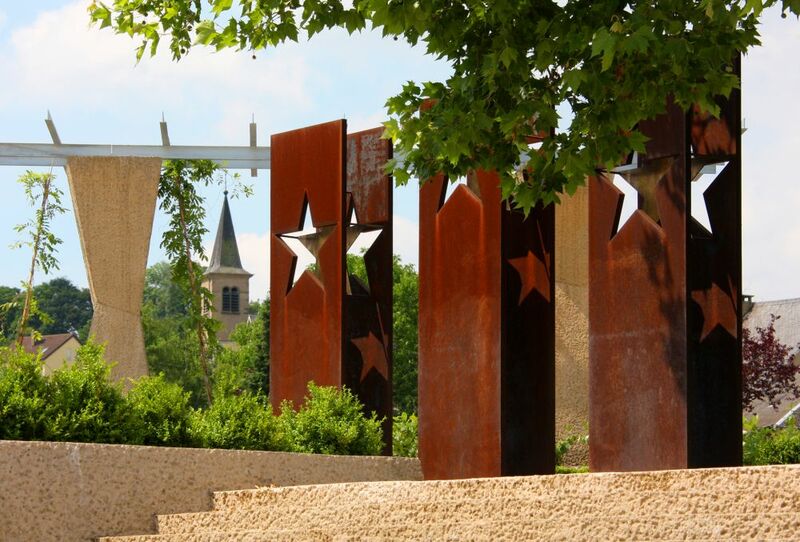 "Place of Memories and the Future" is a cultural itinerary which looks at 2000 years of the country’s history. Discover the heritage of the 12 cantons of the country, each one reflecting a specific period or theme which has been crucial to the development of society. The Schengen section retraces the great stages of constructing the fabric of ‘Europe’ and information is available in 4 languages.